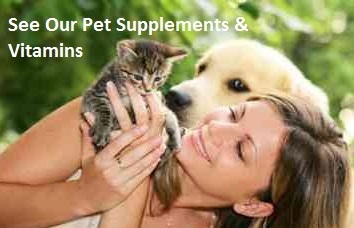 Balanced Essentials is the most innovative and complete nutritional supplement derived entirely from natural sources. Balanced Essentials also replaces outdated supplementation programs that include up to 5-10 pills a day in an easier to use and the most bioavailable form. In only one ounce daily, Balanced Essentials supplies your body with all the daily essential vitamins, minerals, antioxidants, amino acids, along with Omega 3, 6, 9 oils and ORAC super concentrates that address anti-aging, heart health, your immune system and much more. Experience the power and feel of complete nutrition in just one great tasting ounce. Welcome to the world of Balanced Essentials, essential for a lifetime of health. â€¢ Synthetic vitamin C can thicken artery walls. â€¢ Syntetic vitamin A may increase the rate of cancer. â€¢ Synthetic vitamin E actually extracts vitamins and minerals from your bones. Your body is the most valuable and precious thing you will ever care for. Give it what it needs, give it Balanced Essentials! *Only 10-20% of vitamins and minerals in a pill form are absorbed by the body. Even pills listed as "all natural" often have added fillers and coatings that inhibit absorption. According to The Physician's Desk Reference, certain liquid supplements can offer up to 98% absorption rate because they bypass the digestive process and go directly into the bloodstream and into the cells within a matter of minutes. Take 1 oz 2 times a day for the first month, then a maintenance dose of 1 oz per day. Refrigerate after opening. Blueberry Concentrate, Cherry Concentrate, Raspberry Concentrate, Cranberry Concentrate, Bosenberry Concentrate, Elderberry Concentrate, Acai Fruit Juice, Grape Skin Extract. Alanine, Arginine, Aspartic Acid, Cystine, Glutamic Acid, Glycine, Histidine, Isoleucine, Leucine, Lysine, Methionine, Phenyalanine, Proline, Serine, Threonine, Tryptophan, Tyrosine, Valine. Alaria Esculenta, Costaria Costata, Focus Vesiculosus, Nereocystis Lutekeana, Laminaria Digitata, Rhodymenia Pertusa, Enteromorpha Linza, Ulva Lactuca, Gigartina Aiveata, Focud Gardneri. Chloride, Magnesium, Sulfate, Sodium, Potassium, Lithium, Boron, Bromide, Calcium Carbonate, Fluoride, Silicon, Nitrogen, Selenium, Phosphorus, Iodine, Chromium, Iron, Manganese, Titanium, Rubidium, Cobalt, Antimony, Arsenic, Molybdenum, Strontium, Zinc, Nickel, Tungsten, Scandium, Tin, Lanthanum, Yttrium, Barium, Silver, Uranium, Gallium, Zirconium, Vanadium, Beryllium, Tellurium, Bismuth, Hafnium, Terbium, Europium, Gadolinium, Samarium, Cerium, Cesium, Gold, Dysprosium, Holmium, Lutetium, Thulium, Erbium, Ytterbium, Neodymium, Praseodymium, Niobium, Tantalum, Thorium, Thallium, Rhenium, plus other elements found in sea water. Purified water glycerin, fructose, citric acid, natural flavors, xanthan gum, potassium sorbate and carageenan.